Moving and breathing in rhythm will turn your walks or workouts into a powerful game-changing mindfulness practice. In this episode Cara talks about how to move in a way that not only gets your blood pumping and invigorates each of your cells, but also shifts your mind and nervous system from frazzled to focused. When we move with the intention of synchronizing mind and body through movement and breath, we release tension from places we didn’t even realize were tight, reboot our systems, readjust our focus, and feel awake and fully alive. Don’t miss this one. 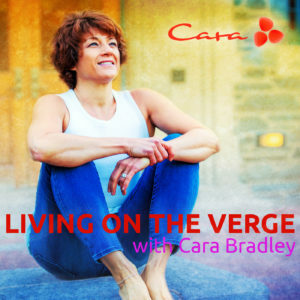 Check out the free On The Verge mobile app on iTunes and Google Play for Cara’s moving practice videos.